Without a doubt, technology has disrupted the way consumers shopped…and now, Indochino aims to revolutionize the modern man’s wardrobe by combining affordability, convenience, and most importantly, personalization. 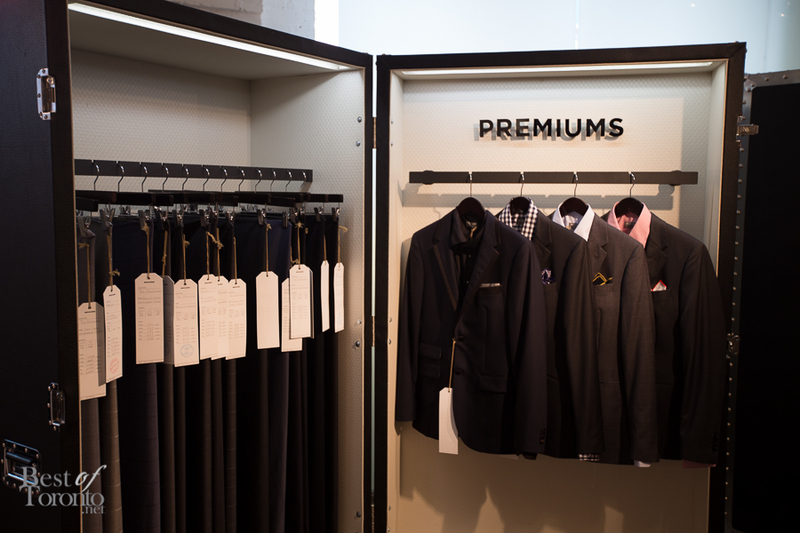 Customers enter their measurements through the website, design their suit from a wide combination of customizable options, and their bespoke garments will be delivered straight to their doorsteps. 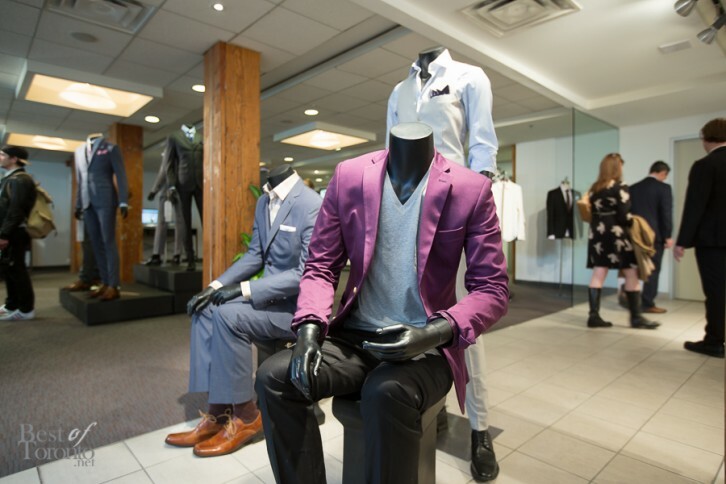 Coming from recent pop-ups in New York and Chicago, now Indochino has popped up in downtown Toronto. 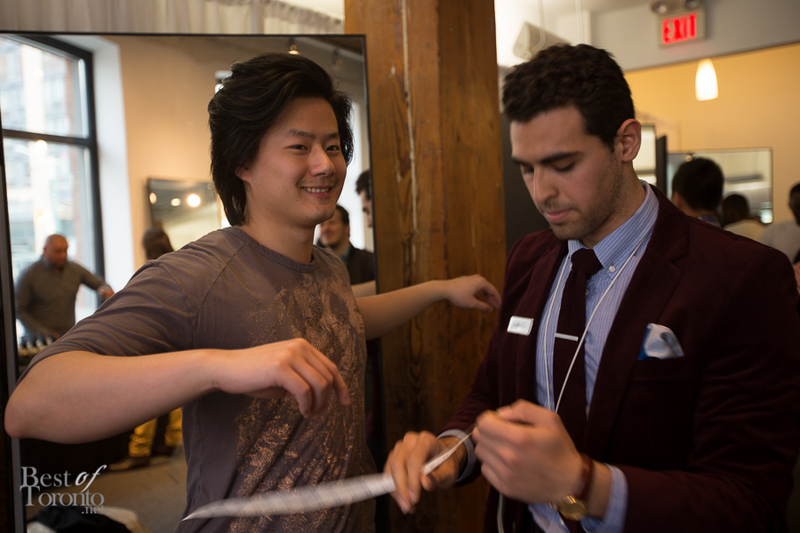 Nick and I had an opportunity to preview the “Traveling Tailor” pop-up store concept on May 7th where on-site personal style guides personally took our measurements and presented the various different fabrics and styles that can be created to suit our needs. Contrast stitching, high-thread count merino wool fabric, surgeon cuffs, double or single breasted, and your own choice of lining; the list of options goes on. We sipped wine as we lost ourselves in the plethora of choices and possibilities. With the advancement and proliferation of consumers who shop online, the next big thing in retail is Experiential Retail: offering the things you can’t do online. It’s about creating a space where people can experience the products first hand, receive services, and complete the transaction online at their own leisure. 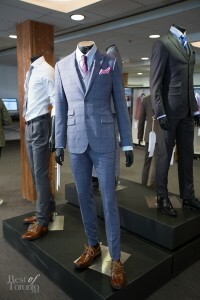 The Indochino Travelling Tailor provides this sort of unique retail experience. So “pop-by” the Indochino pop-up shop at King and Spadina (in the old Calphalon space) before you can’t: the Travelling Tailor is only here for a month. The great selection, prices and the gorgeous pop-up space itself make this worth checking out. 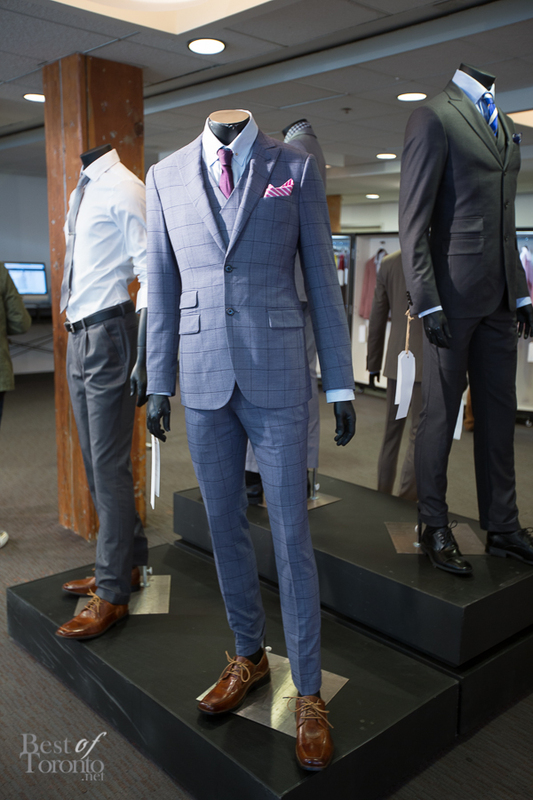 Indochino Toronto is located at 425 King St. W Unit 102 from May 8th until June 8th, 2014 (extended from May 25th). What if your custom suit doesn’t fit? Of course that’s a concern when you’re dealing with an online-based pop-up shop and Indochino has a great worry-free policy. Indochino will cover alterations to your garments for up to $75 per order at a local tailor – that sounds like a great commitment! And in other cases they will remake the order entirely from new materials. If you tell your friends about Indochino, they get $50 off their purchase of $300 or more and you also get a $50 credit for each friend that buys.